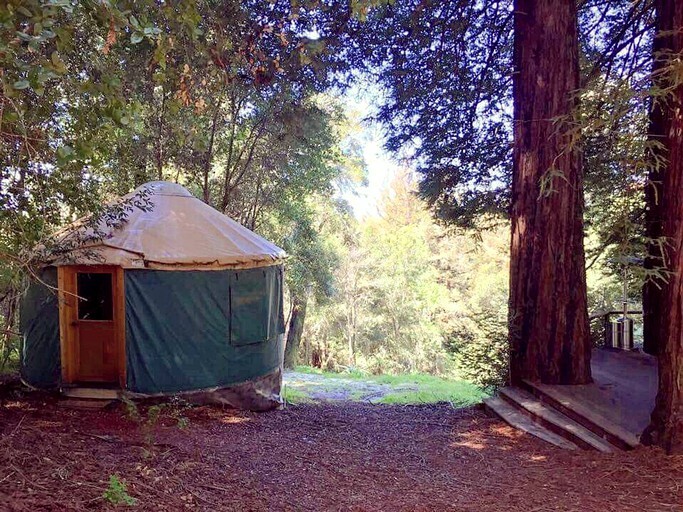 Glampers are invited to enjoy a relaxing getaway that will rejuvenate mind, body, and soul at this gorgeous yurt rental near the Forest of Nisene Marks State Park, California. 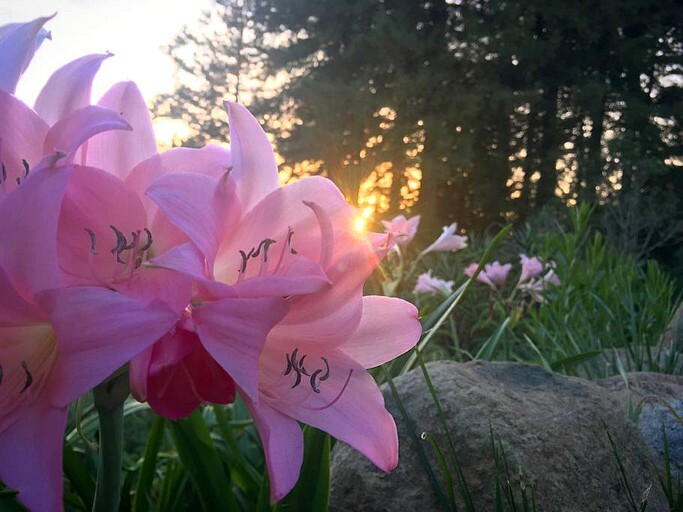 Based on a wellness retreat in the Santa Cruz Mountains, guests are encouraged to reconnect with nature in the ground’s lush gardens and unwind in style, with the opportunity for yoga, meditation, and massages. 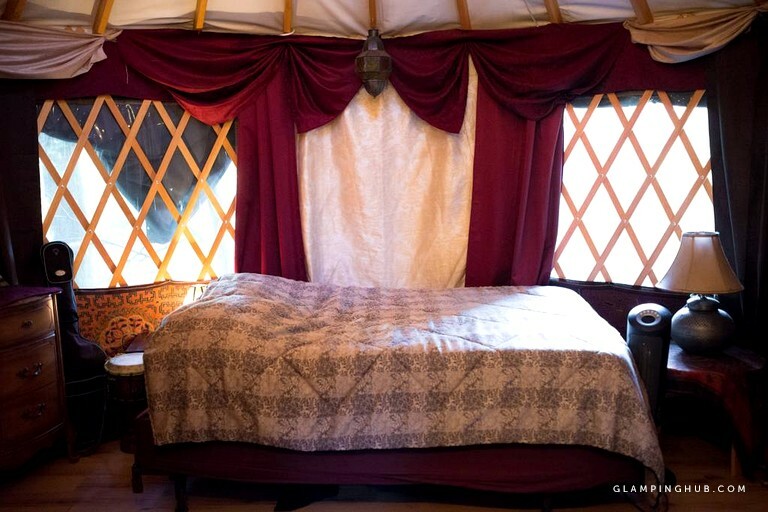 The yurt sleeps two guests in a romantic and cozy setting that showcases luxury rugs and cushions as well as an ultra-comfortable queen-size bed that has been fitted with quality linens and plush pillows. 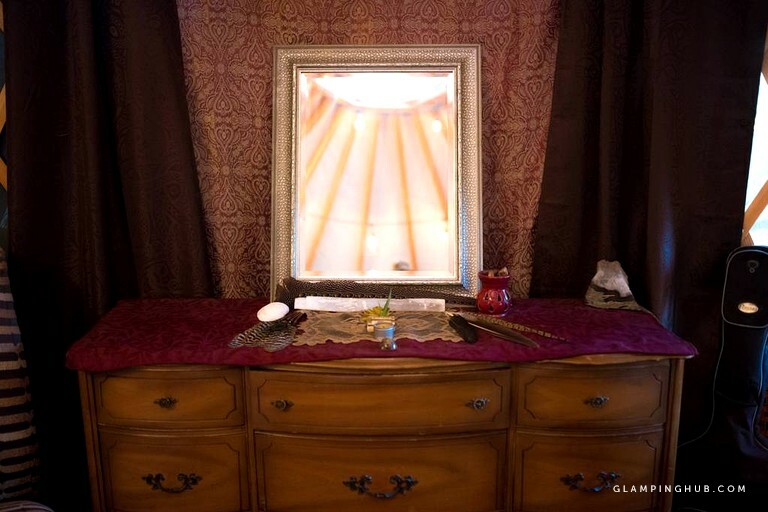 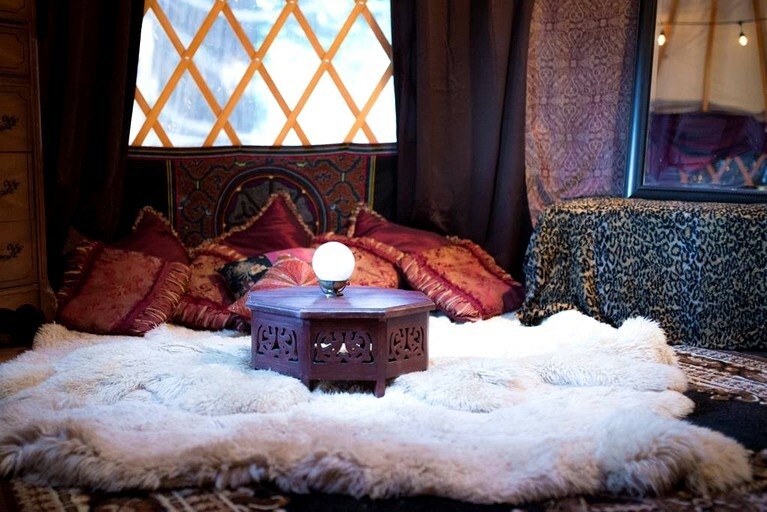 The yurt receives plenty of natural light through its windows during the day, and in the evening, guests can switch on the lamps to create a peaceful ambiance or, even better, keep them off and admire the incredible stargazing through the yurt’s skylight. 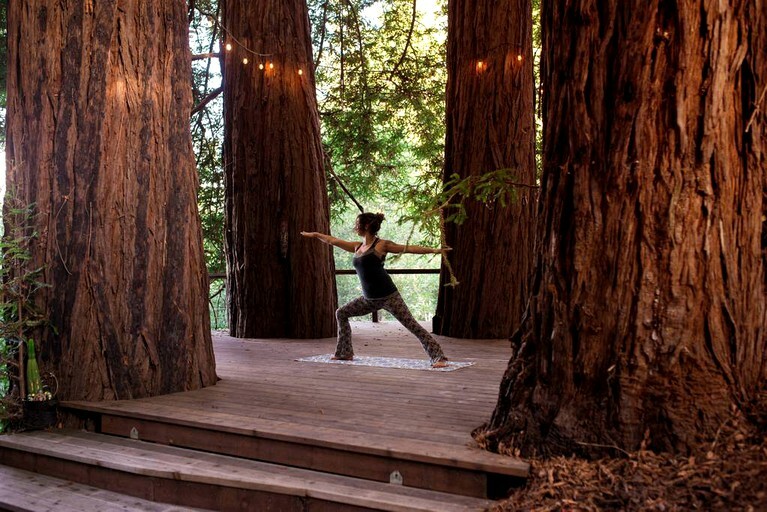 Outside, guests will have their own deck with a redwood circle, which makes for the ideal spot to meditate or practice yoga. 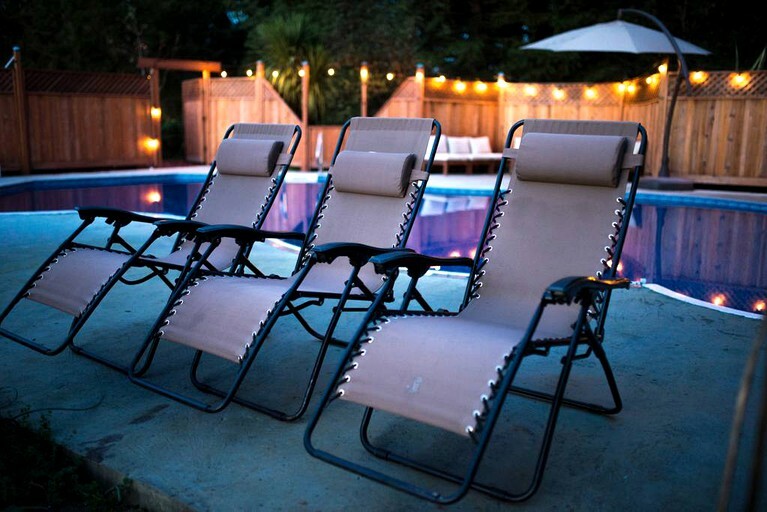 Outside, guests will find walking paths winding through a variety of lush vegetation, a bamboo garden, and a koi pond surrounded by wooden benches, along with a swimming pool, a hot tub, and a sauna. 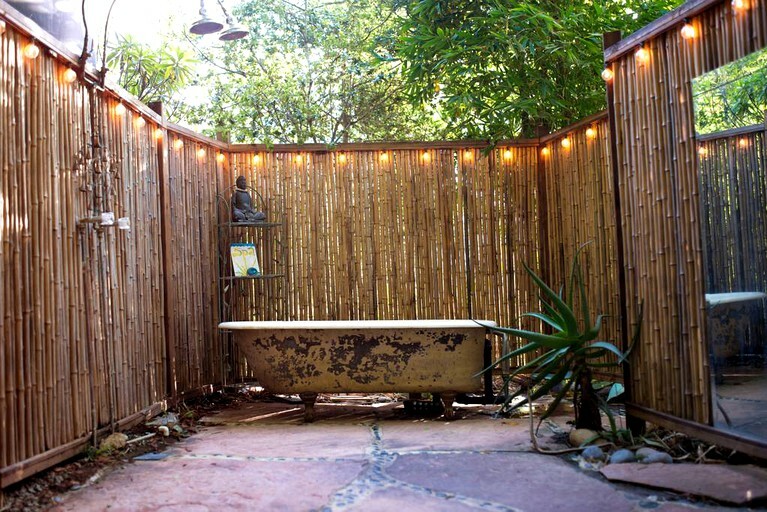 Guests will also enjoy access to the retreat's temple and outdoor showers. 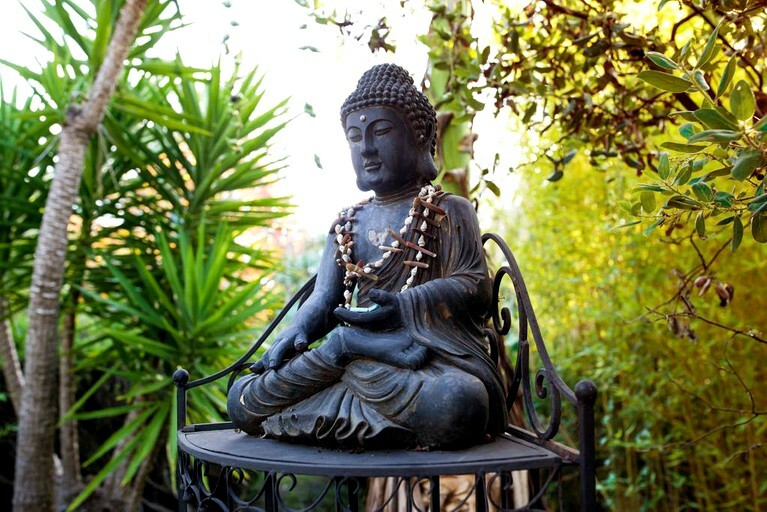 Massage services and other healing modalities are available from the residents of the retreat community. 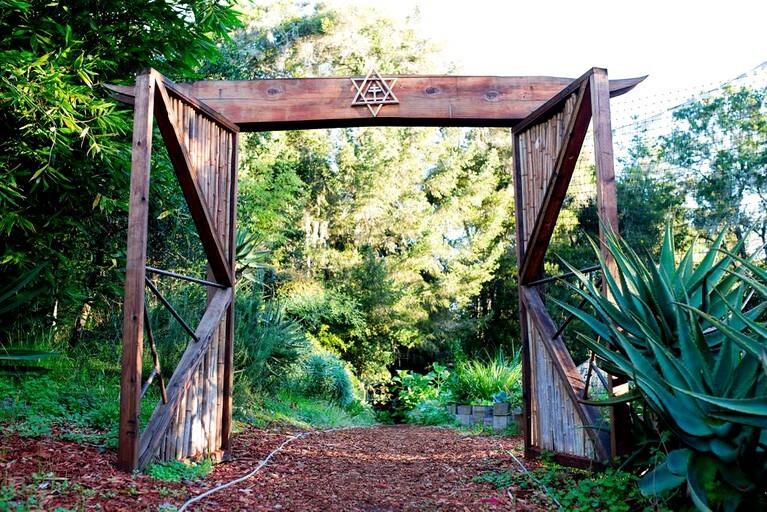 This cabin is located in Aptos, California, where it is situated inside a partially off-grid nature retreat on top of a ridge amid the Santa Cruz Mountains. 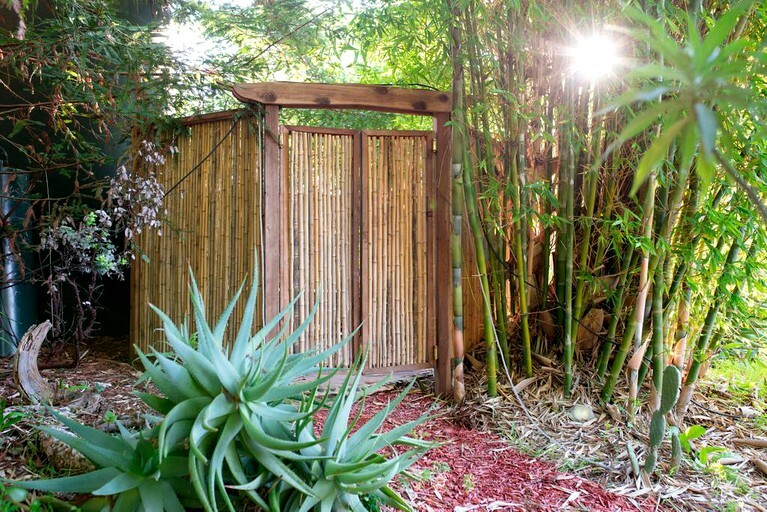 Strolling down the walking paths of the retreat's peaceful grounds, guests will find a variety of lush vegetation, a bamboo garden, a swimming pool, a hot tub, and a koi pond surrounded by wooden benches, offering guests a chance to reconnect with nature in an idyllic setting that exudes a sense of harmony with its natural environment. 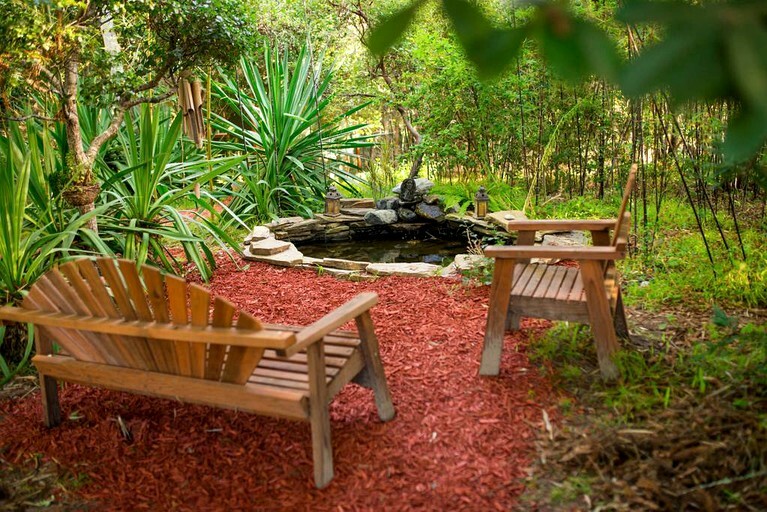 With a swimming pool, a hot tub, and a sauna surrounded by lush foliage, a bamboo garden, a koi pond with wooden benches, and walking paths, guests will be in an idyllic setting for swimming, relaxing, mediating, and reconnecting to nature. 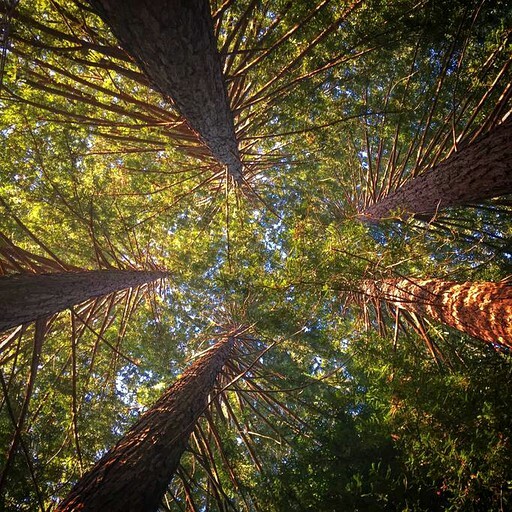 At the Forest of Nisene Marks State Park, which borders the cabin's property, guests can go hiking on 30 miles of trails and biking on 10 miles of fire roads. 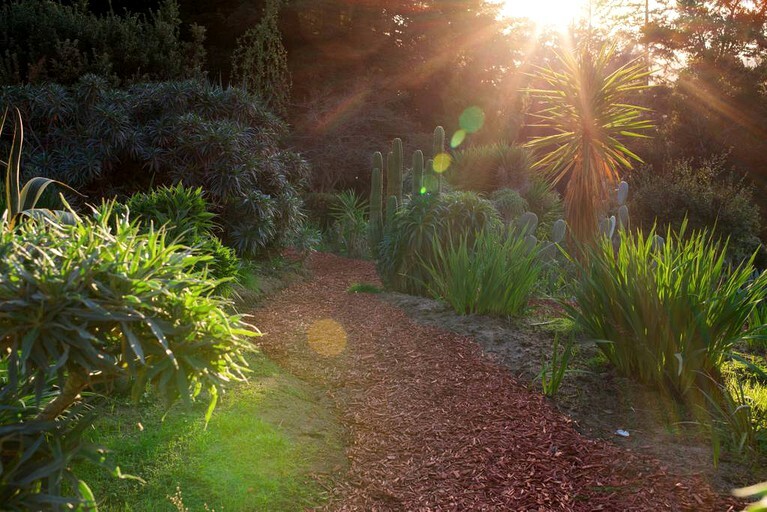 For shopping and dining, guests will find a variety of restaurants, boutiques, and coffee shops in the town of Aptos. 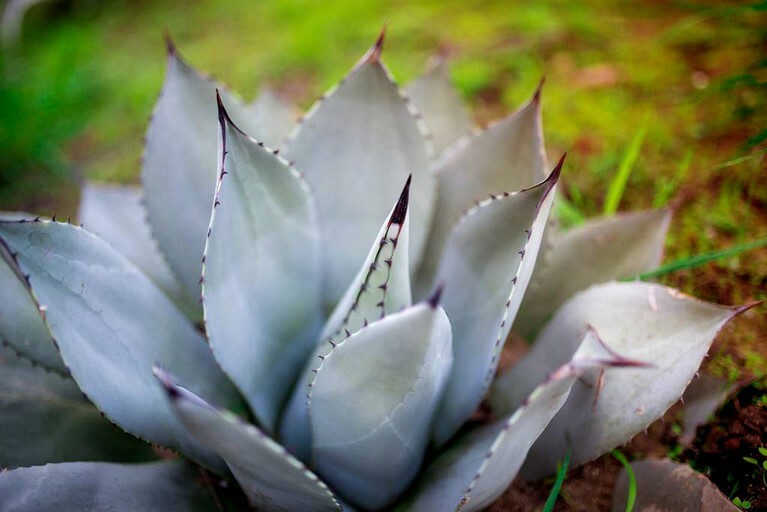 For a day trip to the beach, guests can head to Seacliff State Beach or Rio Del Mar Beach, both of which are about 15 minutes away.